How do I Create or Join an Alliance? To join an Alliance simply tap on Join or, if the Alliance is private, you will need to tap on apply. It will then be the decision of the Alliance lead/s if they accept your request. Open Alliance? 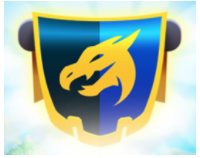 Basically means that players can join the Team without confirmation as long as they have the right Dragon Master requirements. Private? Means that players request to join the Team and the Leader / Co Lead can accept or reject. Important: You can only be in one Alliance at a time. There can only be a maximum of 20 players in each Alliance.